Here is a lot of photos of my bike that I bought in the spring of 2012. 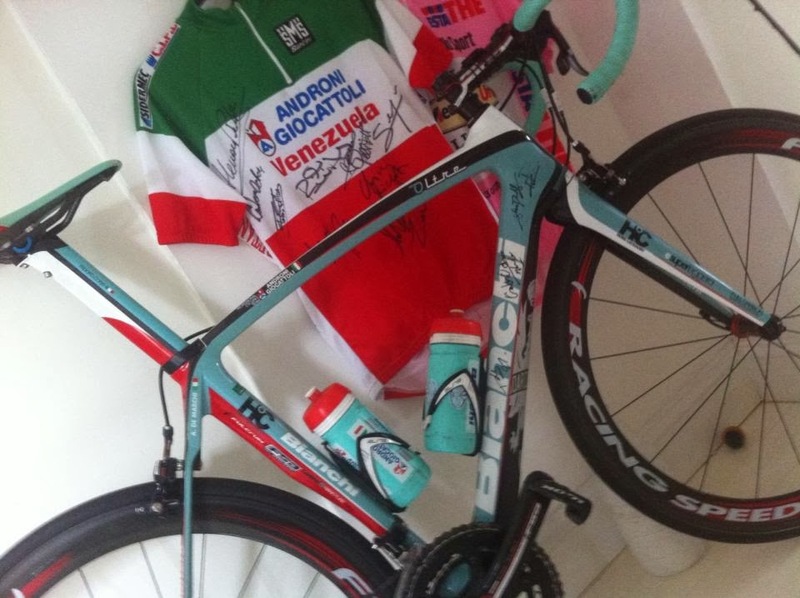 During 2011 it was used by Alessandro De Marchi in the Team. The condition of the bike was excellent and I enjoy every moment I spend on it. As always if you click on the image you will see it in full size. The photos was taken on the same day I got the bike. Today it´s signed by all the riders of Androni - Giro d´Italia 2012 and the Team which was racing the Tour of Estonia in 2013.